Since 1985 the number of Oregon children diagnosed with Autism has risen from 30 to 8,000 (2010). The more than 4,000 children in the Portland metro area who qualify as having Autism usually receive minimal educational services and limited county Developmental Disabilities case management services. Most medical insurance policies do not cover treatment for Autism, including the Oregon Health Plan. In Oregon the estimates are around 1 in 71. ARRO’s Westside Family and Community Center is the ONLY building dedicated to services focusing on improving the lives of individuals with Autism in Oregon. Through our combined efforts, we will help ARRO expand and do even more. There is only so much we can each do individually, but as we join together, we can make a significant difference. 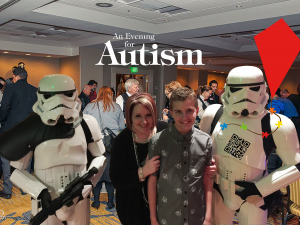 By participating in this event, you will help ARRO reach more individuals and families affected by Autism and have a great time doing it.